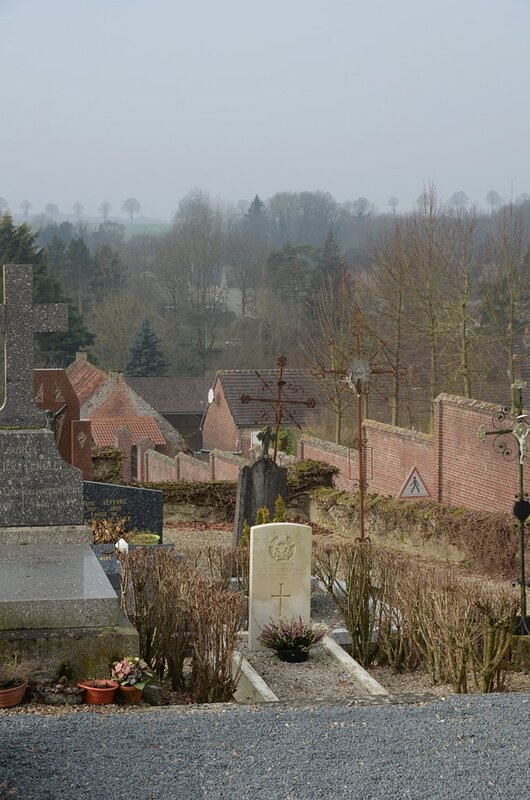 Neuilly-L'Hôpital is a village and commune in the Department of the Somme, some 8 kilometres north-north-east of Abbeville and about 800 metres due east of the N.28 road to Hesdin. 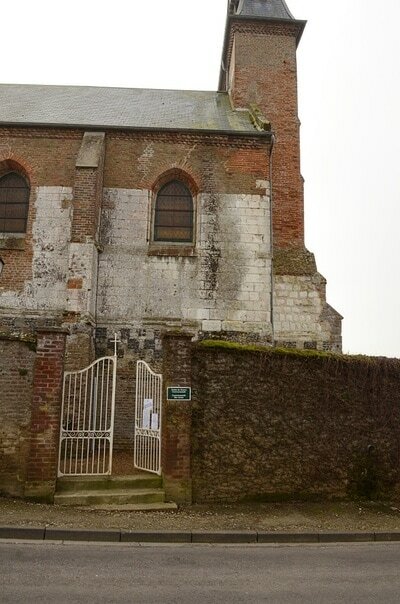 Some 7 metres west of the church tower and main door is the grave of an WW2 Australian airman. Incident: The aircraft crashed at Neuilly-l'Hôpital killing the above mentioned airman. 415495 Pilot Officer Arthur Albert William Berryman, Royal Australian Air Force. 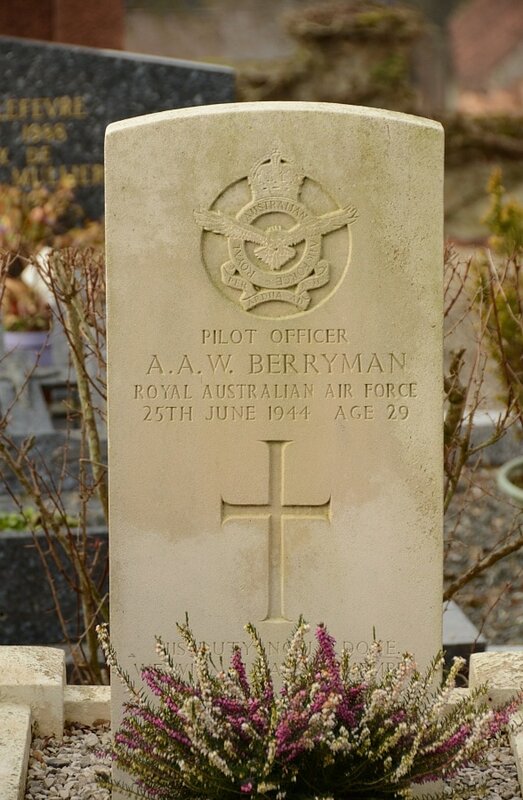 Died 25th June 1944, aged 29. Son of Frederick Langley and Gertrude Annie Berryman; husband of Agnes Elizabeth Berryman of Victoria Park, Western Australia.